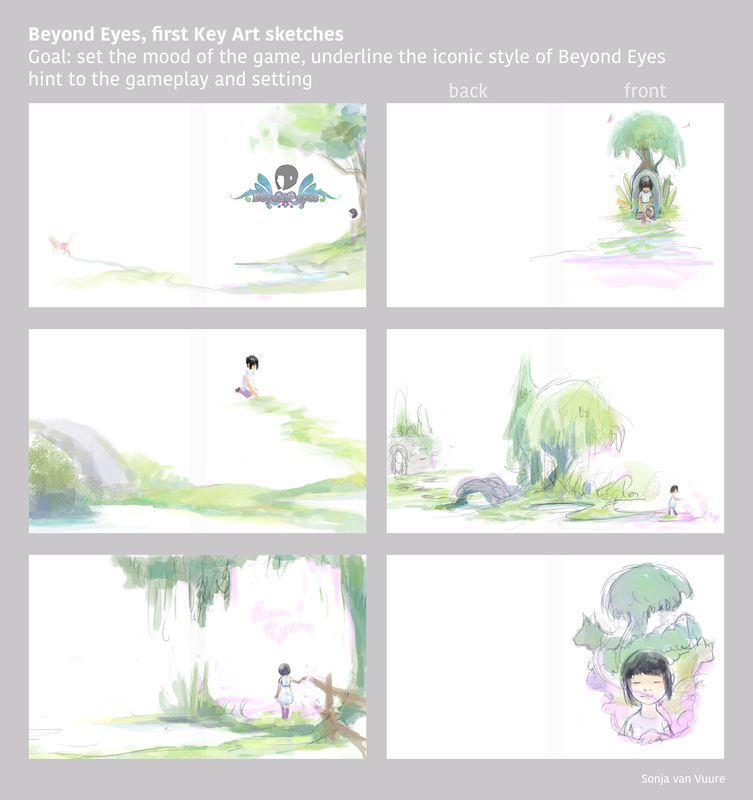 I’m very proud to announce that I had the honor to create the key art for a beautiful, precious game called ‘Beyond Eyes’: an indie game created by tiger & squid that is being published by ‘Worms’ creator Team17. 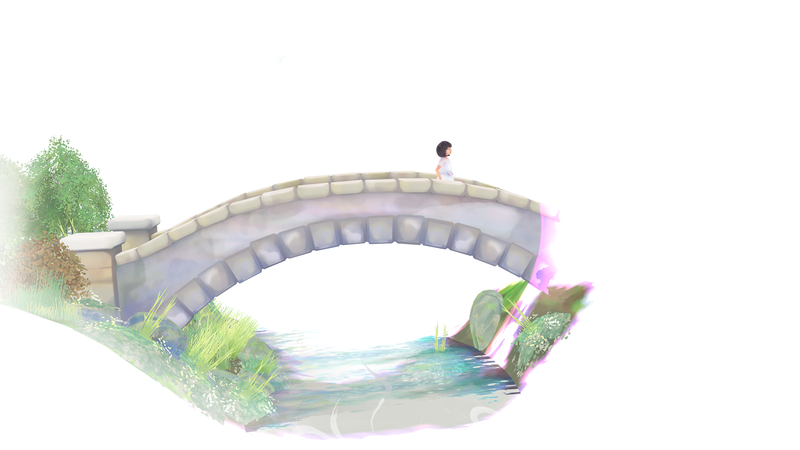 Beyond Eyes is a game about a 10-year old girl called Rae who lost her eyesight in an accident when she was just a toddler and the experience left her traumatized. Fearing loud noises and public places, she hardly ever leaves her house. She doesn’t feel lonely though, because Rae found friends in a stray cat she named Nani who found her in her garden and came back to play every day. When Nani goes missing, Rae finally gains the courage to go outside for the first time on a wonderful and life changing journey to find her missing friend. 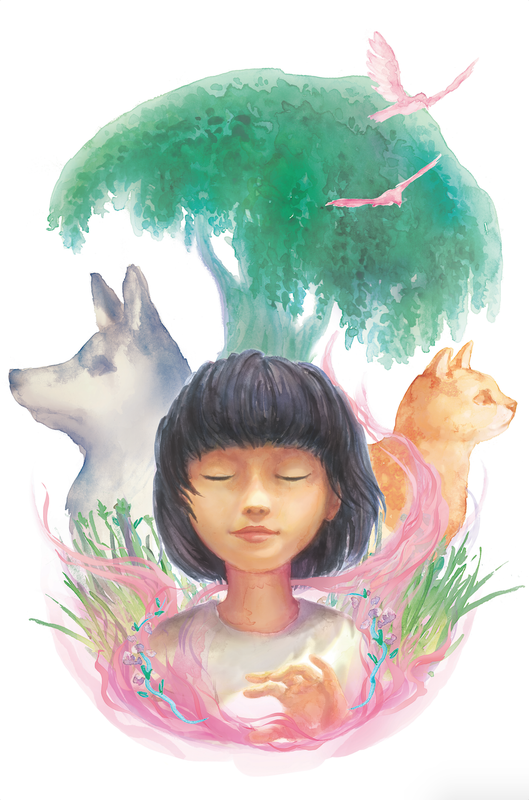 In the game you guide Rae in the unfamiliar outside world, helping Rae overcome her fears and find beauty and friends outside of her golden cage. 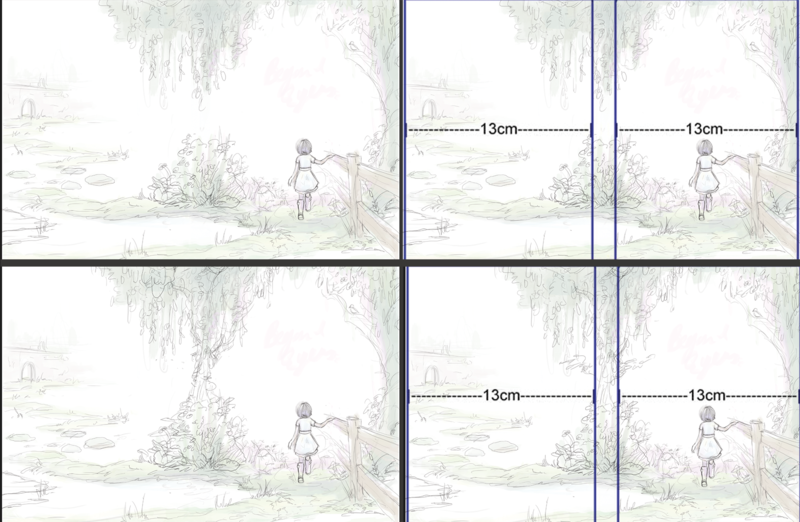 Beyond Eyes is based on the watercolored children book illustrations that Rae loved to look at before she lost her eyesight. The game is light with bright beautiful colors, showing only what Rae perceives, which makes every direction you watch a beautiful dreamy composition. 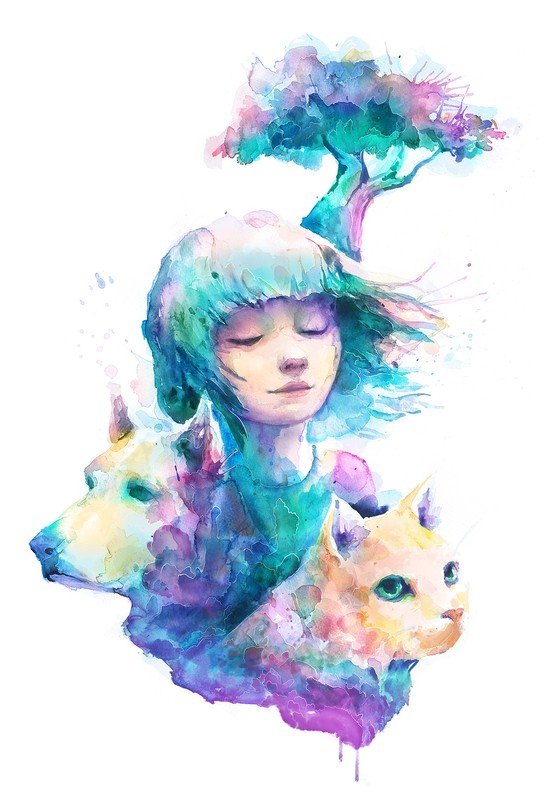 The key art for Beyond Eyes is based on this beautiful water color style. 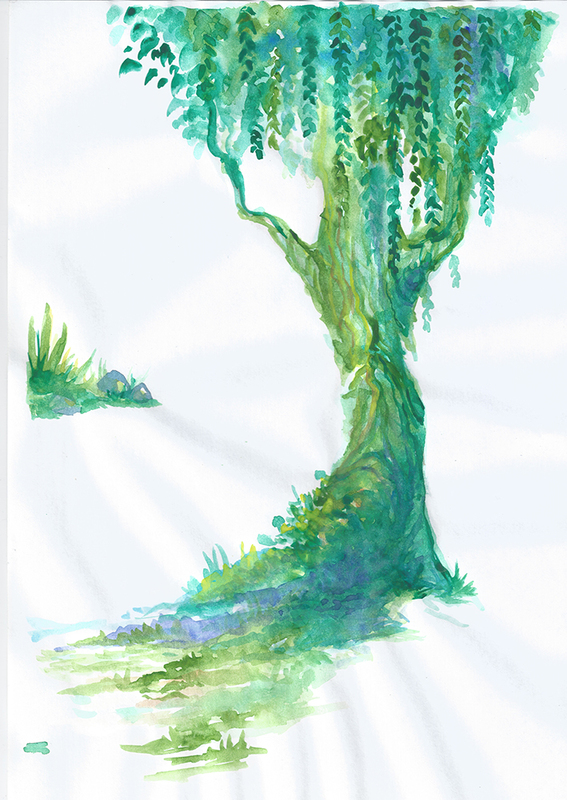 To show this I’ve actually painted the key art in water color. I used photoshop to give these paintings a finished look that looks attractive both detail on a 4 by 2 meter stand or screen as on a businesscard. I’ve filmed the making of one of these key art paintings, showing the whole proces. It was great working for Sherida (tiger & squid) and Team17 and I’m really happy I had the opportunity to make art for such an iconic game. So cool! This game is absolutely beautiful! I’m in the game art class you’re going to be teaching, I’m really looking forward to it!